On January 11-12, 2014 our parish kept the Christmas season going with our Children’s Christmas Party on Saturday and our annual Yolka Christmas Party and fundraising dinner on Sunday. The Children’s Christmas Party included traditional singing and dancing, Christmas skits, and even an appearance from Ded Moroz. 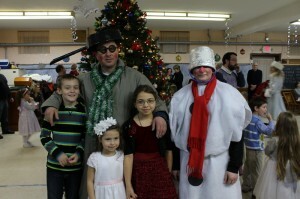 Children, parents, and other parishioners alike enjoyed dressing up in costumes, playing games, eating food, and celebrating the Nativity of Christ, which was less than two weeks earlier. Before the party on Saturday there was a special Divine Liturgy to remember the reason for these great festivities. 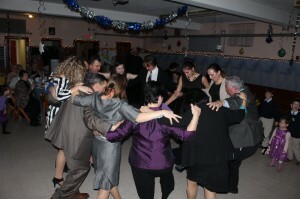 On Sunday after our regular Divine Liturgy we held our annual Yolka Christmas Party and fundraising dinner. It was a fun opportunity to celebrate Christ’s birth together, to grow as a community, and to start our new year off on the right foot financially. There was much singing, dancing, eating, and celebrating. It was a fun time to enjoy the company of one another as we begin another year together as a church family. Click here to see more photos from this weekend of Christmas celebration. 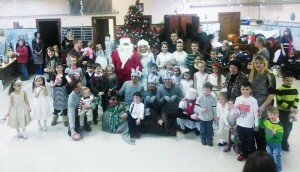 Share the post "Children’s Christmas Party and Yolka 2014"